When working with a specialist, achieving a proper medical diagnosis of Sleep Disturbed Breathing (SDB) is critical. A Level 1 Overnight Sleep Study. This sleep test involves spending a night in a private bedroom in a sleep laboratory. A sleep technologist will monitor breathing, physical movements and other parameters during the night. A Level 3 Overnight Sleep Study. 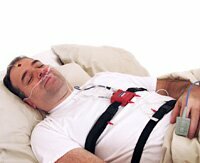 A Level 3 Sleep Test is a portable sleep test performed in the patient’s home. The sleep test equipment is picked up by the patient at our Office where instructions is provided for its use. It is then returned in the morning where the study data is uploaded for analysis. For more information regarding the differences between sleep studies please contact us.